Indian Defence Secretary, Sanjay Mitra, embarked on a two day trip, from April 6 to April 8, to Sri Lanka. 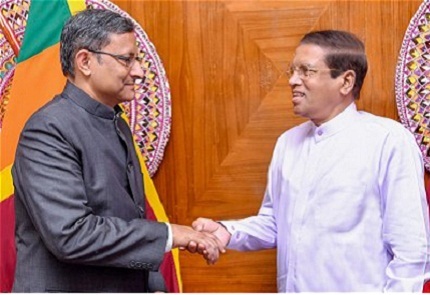 He called on Sri Lankan President Maithripala Sirisena and participated in several high level defence meetings. He participated in bilateral defence talks. The two countries agreed to increase cooperation in several areas, including regional security, curbing drug smuggling and human trafficking.